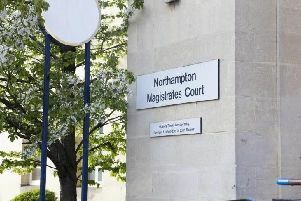 A burglar fled with two mobile phones and two sets of car keys after householders woke up to find him in their property in the Abington area of Northampton. The burglar, described as a hooded figure in dark clothing, ran out of the property in Addison Road through the kitchen door after being challenged at 5am on Sunday. Other stolen items include a rucksack, a beige River Island handbag containing a quantity of cash.